Do you know an average person spends almost 11 hours in front of the computer, tablet, and smartphone screen every day? Our eyes are not naturally made for staring at screens for long hours. 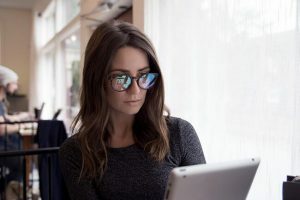 That is why many of us suffer from issues like headaches, blurred visions, sleep deprivations, eye strain, eye irritations, and dry eyes after being exposed to high energy blue and UV lights that are emitted by these screens. Hence, we need protection—an added layer of glasses that can deflect the unwanted high energy blue and UV lights. Fortunately, Cyxus Blue Light Filter UV Blocking Glasses can do just that. 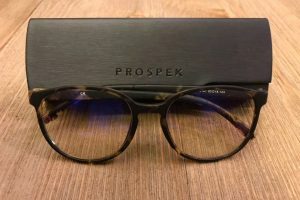 No matter if you are a workaholic who spend hours in front of the computer, a gamer or a smartphone user who is exposed to screen light in the dark, Cyxus promises to protect your eyes against harmful light rays. 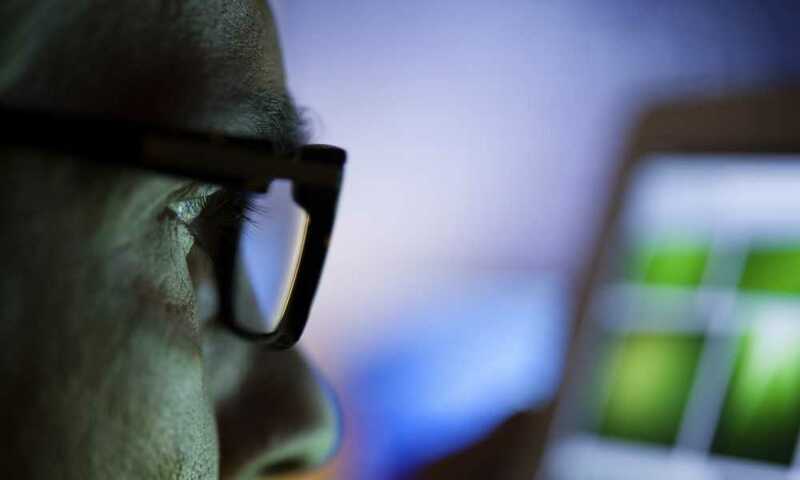 According to recent research, one of the worst effects of blue light from LED screens is its suppression of melatonin, a sleep-promoting hormone in the body. As more people are developing a habit to use smartphones leading up to bedtime, more people are suffering from sleeplessness. But you can buy something that is a simple form of protection, a simple solution like wearing the Cyxus Blue Light Filter glasses to your routine, you can still sleep like a baby. 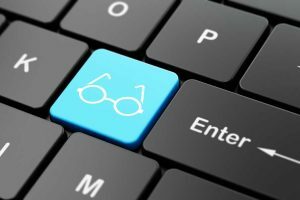 So, let’s look into how Cyxus Computer Glasses help us sleep well and what are the features and benefits it offers. 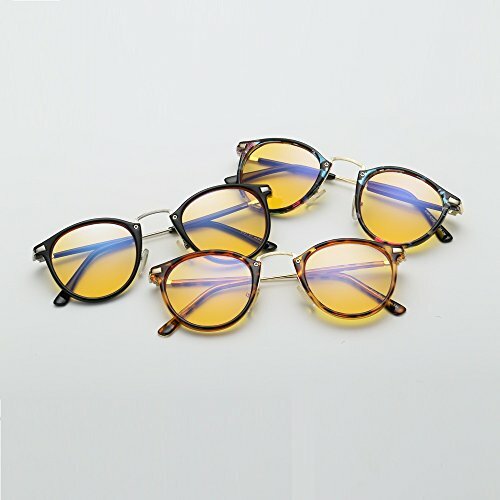 First, the design of the glasses is a classic, vintage, round frame which is also the latest trend in the fashion industry. The lenses are yellow tinted and can effectively block or deflect 99% of harmful blue light. The lenses are made of high-quality glass optic fiber. The vintage design with round glasses is considered too old to some. The Cyxus Computer Glasses are specifically made for protecting eyes from harmful blue and UV lights. These glasses are capable of blocking 99% of the harmful rays from LED screens because of their yellow tint. The product is a perfect fit for gamers, nighttime smartphone users, and workaholics who spend hours in front of the digital screen. It is super light and extremely comfortable to wear. The design looks good on both men and women. The tortoise color and print on the plastic frame also add to its unique style. Unlike some other glasses, the lenses have no magnification power. The pair of Cyxus Blue Light Computer Glasses is among the very few computer glasses that promise to block 99% of the blue light. 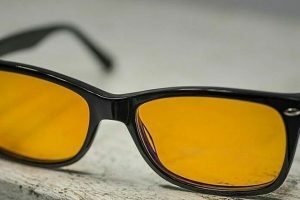 Compared to many other similar glasses, it is tinted heavily with a yellow color to deflect almost all the blue and UV lights. If compared to another popular product, the TruVision Black Computer Reading Glasses, you can find both are different from each other. First, the Cyxus uses dark yellow tinted lenses while the TruVision Glasses use very light blue tint that makes them look transparent. But Cyxus is also more protective as it promises to block 99% of the harmful rays, but the percentage as to how much of harmful energetic rays TruVision blocks is unclear. But based on the use of a light blue tint, it is expected to block around 50% to 80% of harmful rays. There is also a significant difference in design. 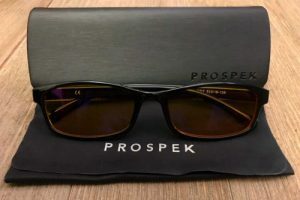 Cyxus Glasses come in a vintage frame style with round lenses, while the TruVision Glasses come with more modern design and rectangular lenses. Overall, Cyxus offers better protection from harmful rays due to its thick yellow tint. Both the glasses have zero magnification power. You can also use Cyxus outdoors during driving for sunlight protection, but TruVision Glasses are only made to be used indoors. One thing that makes TruVision unique is that it comes in a pair of two glasses, so if you’d like to get one for yourself and one for a friend or significant other, TruVision can save you some money! When it comes to the best protection against the harmful effects of UV and blue lights, there aren’t many glasses that can compete with Cyxus Blue Light Filter UV Blocking Glasses. 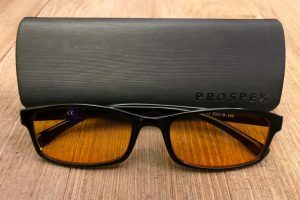 These anti-glare and anti-eyestrain glasses are perfect for gamers and bedtime LED-screen users. These glasses can easily relieve headaches, eye strain, and dry eye issues. You can also sleep well after using it. The best thing is, it is not only about protection, its vintage, round-shape, and classic design with tortoise color make it look good on you. It also looks elegant and stylish. You can also use it outdoors or indoors. Its super lightweight also makes it very comfortable to wear. What do you think about these Cyxus glasses?